This happened when the year started. 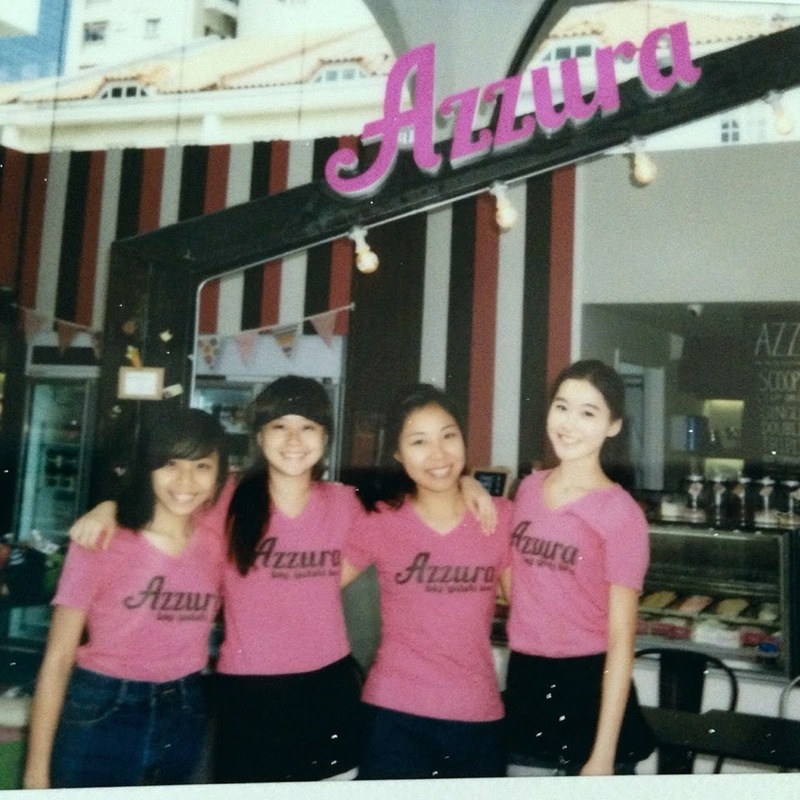 I was introduced to work at Azzura the Gelato Bar at the new Katong V mall. And never have I thought I could so good at scooping ice creams! Hahaha, well and making coffee and latte art, of course. It was the first time I was independent financially as I stopped taking my monthly allowance from my mom. It was also at Azzura that I thought I became a much social person, making what I am today, not afraid to talk to strangers and non-strangers. It was only last year that I remember I am this super anti-social girl who don't talk to my relatives and just hide in her room, watching YouTube videos and surfing FaceBook. It was also here that I met many new friends and a very special one. This is all thanks to NAFA as well. I registered for a module called introduction to photography, because I was legitimately interested in it. 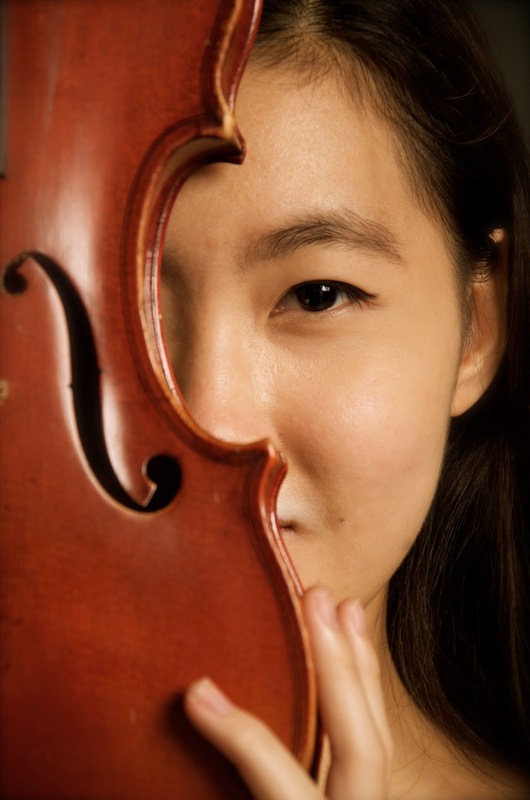 I didn't know it could bring me to my very own first studio photoshoot, with my violin! If you follow my blog, you'd know that I have always wanted to model for something, act all vogue and cool. And here I have it! And for free! Somewhat.. 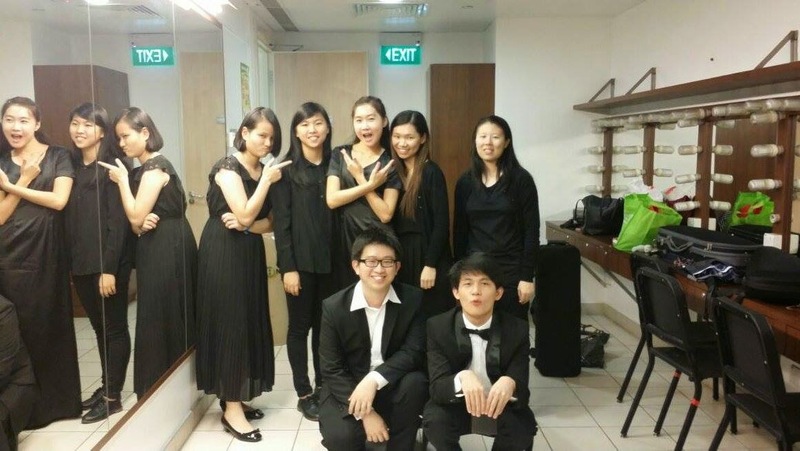 Yes, I became a violin teacher. For what? Well, to start earning money once again and hopefully lighten my family's financial burden. And of course to really start to get a taste of teaching, since that's a possible career path I'll be taking in the future. I have to say teaching the violin is hell of a task, but seeing your students improve from week to week, makes everything worth it. Breakups are always bitter, especially when you thought he was the one... It took a lot of heartaches and back and forth to even start talking about ending it, but we fight for our own happiness and so I fought. It was nonetheless painful but a phase I believe most people go through. That's how we grow up and find ourselves. 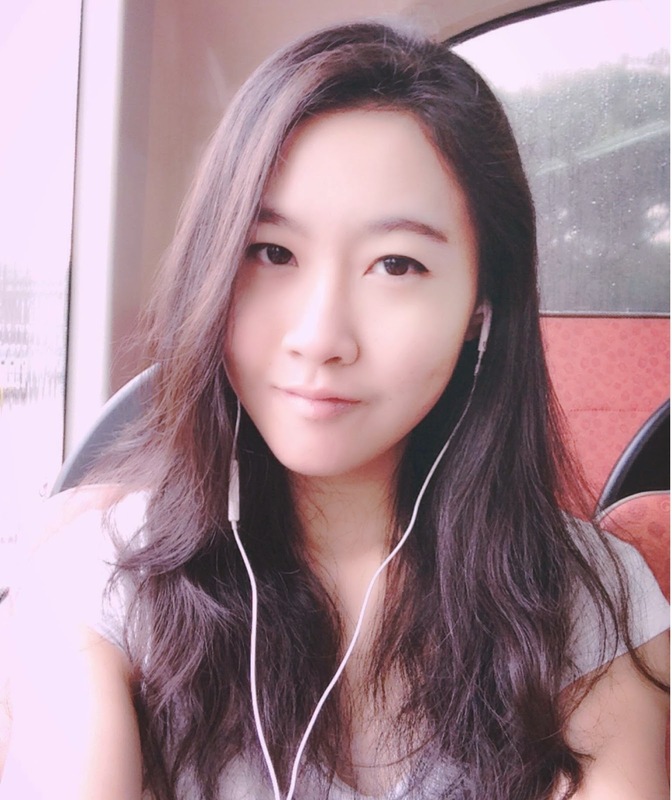 I got the results of my first semester in NAFA, and I am happy with it! I really hope I can keep up this kind of results till I graduate or even better, have better results. The last time I was happy with my results was also this year when I got my IB results. Somehow, it made all the hard work seemed worthwhile. And nothing beats knowing how your hard work paid off right?? This year is the first year I actually felt comfortable in my own skin. Before I had acne, I never knew how much smooth and clear skin would mean to me. As my puberty started and my acne worsened, I've never felt more embarrassed to go out and talk to people. This year, with the proper care and attention it needed years ago, I finally got comfortable in my own skin. My skin may not be perfect, but compared to last year and the year before, I am much more appreciative of it than ever. This also factored into me being much happier this year. This year has been one of the busiest. And I don't mean busy studying, but more than that. I am getting invites to go for media events, store openings, product launches, blogging, going for rehearsals into the night, teaching at different places, hanging out, dating and many more... I just feel that this year has been a very rewarding year. And you know what they say, busy is always good! And with this good kind of busy, I'm lucky to have my Samsung Note 4 to help me keep up to it! I mean, I'm lucky to have been able to spend some days with my best friend even with such hectic schedules! Saving the best for the last... I've just been really lucky to have met this love. Though it might be too early to say that he is the one, but I just got a feeling, you know? This love is so great, it consumes me, and to say the truth, I've never felt like that, ever. The constant feeling of missing him, crying my eyes off because I know we are going to separate, the long good byes, having a smile on my face thinking of him when I wake up? I mean, these are all kinda new to me. I love being around with him, because he never fails to make me laugh, even at his lamest jokes. When I look at him, all I want to do is to smile, even just thinking of him, NOW. I definitely hope for many more new years with him, because I'd never want to leave. So there you go, my top 10 significant events of my life in 2014!